Healthy, soft, and shiny hair defines the beauty and personality of a woman. However, most of us, these days, experience dryness, dandruff, itchy scalp, damaged hair, split ends, hair breakage, excessive hair fall, or even baldness due to poor food habits, unhealthy lifestyle, pollution, and constant exposure to the sun. Needless to say, if you want to flaunt gorgeous locks, you have to pamper them every now and then in order to make it healthy from inside. A mask can help you a lot in this regard. Let’s talk about 6 amazing overnight homemade hair masks that can give you Rapunzel-like tresses. A hair mask can be defined as a hair treatment process that blends in various hair-friendly ingredients to add strength, shine, and new growth to the hair. It can be both homemade and commercial. Common kitchen ingredients, such as olive oil, fruits, eggs etc. are mixed together to form homemade hair masks while a number of commercial hair masks from different reputed brands are available in the market. Homemade hair masks are extremely budget-friendly and easy to prepare. You can bring back the luster of hair with these easily without spending a fortune in expensive hair spa salons. But the biggest benefit of using such masks is that they contain all natural ingredients, which is great for maintaining the health and beauty of the locks. For those who love to style their hair with chemical and heat treatments, homemade masks are the essential thing to embrace in order to repair damages, prevent greying, stop hair fall, and regain its natural health. Using hair mask regularly at night helps keep your tresses nourished and hydrated naturally. It is a deep conditioning treatment that works best for women with busy lifestyles as they do not need to spend extra time for taking care of their locks. No matter how frequently they opt for styling treatments, they can always provide the goodness of an overnight hair mask to their hair and wash it the next morning as usual. It is indeed one of the best ways to ensure the growth of healthy hair. Take 2 teaspoons of pure olive oil, the extract of a fresh aloe vera leaf (or pure aloe vera gel), and two egg yolks in a bowl. Mix thoroughly so that all ingredients blend into a smooth mixture of medium consistency. Massage your scalp with this mask mixture for 10-15 minutes. Now, get your hair into a bun and wear a shower cap to keep the mask on the scalp. It is always suggested that you keep the mask overnight for maximum benefits. Wash off your hair with an herbal shampoo the next morning. This is a super nourishing hair mask that will give you healthy and beautiful locks easily. To get soft and shiny tresses without extra effort, make a hair mask of castor oil, mashed bananas, and beer. You can even add a few drops of honey for additional moisture and shine. Take all ingredients in accordance with your hair length and combine them thoroughly. Massage your scalp with this mask for 10-15 minutes before wrapping a hot towel or shower cap around your hair. Leave it for the whole night and rinse off with a mild shampoo the next day. 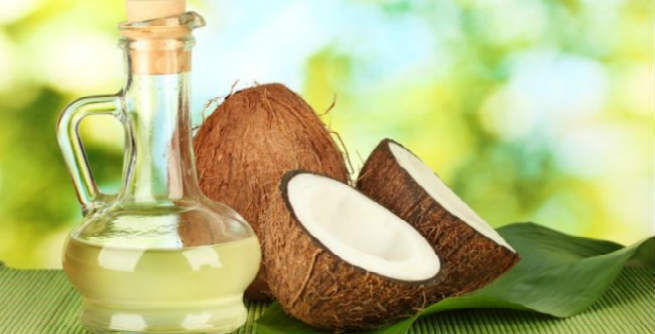 Take some pure coconut oil in a bowl and warm it up a little. Add beaten yogurt to it and mix properly. 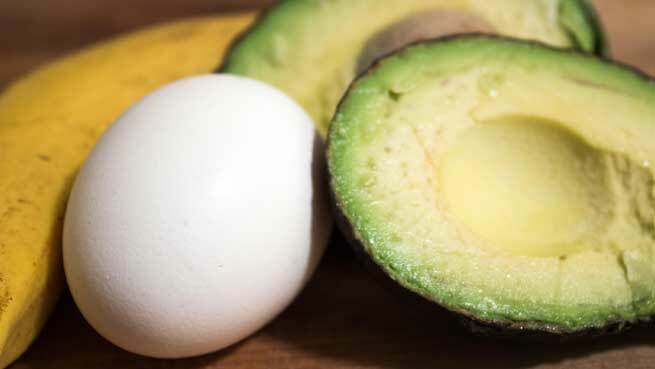 Now, break open 2 capsules of Vitamin E, pour their content into the coconut oil-yogurt mixture, and blend everything to make a smooth hair mask of medium consistency. Apply it evenly to your scalp and massage gently for 4-5 minutes. Then, wear your shower cap and leave the mask for the entire night. Wash it off with a gentle shampoo the next morning. This hair mask contains everything that is essential for maintaining a healthy scalp, which eventually results in gorgeous tresses. Yogurt and banana are two amazing natural remedies for dry and frizzy hair. Mash a medium-sized fully ripe banana well (there should be no lump at all) and mix it with an equal amount of yogurt in order to get your instant overnight hair mask ready. Apply it all over your scalp and massage for a good 5 minutes by moving your fingertips in a small circular motion. Leave it for the whole night by wearing a shower cap and rinse off the next morning. This will not only nourish and condition your hair but also eliminate dandruff completely. Too much stress affects the health of our hair, thereby leading to premature greying. To get rid of it, soak a few ratanjot sticks in pure coconut oil for one night so that they release the red color into the oil. 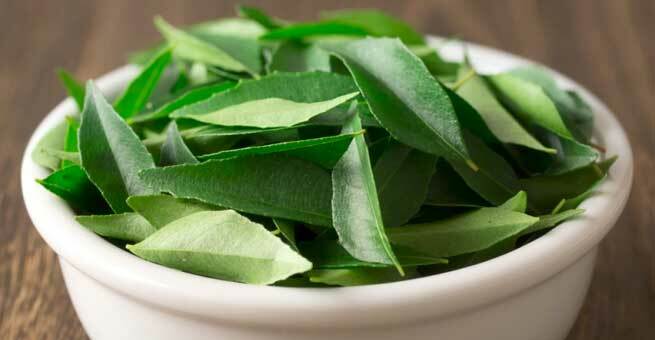 Now, grind a handful of fresh curry leaves and mix it with the red-colored oil properly. Apply the mixture to your scalp and keep your hair covered for 3 hours or for the entire night. Wash it off with a good herbal shampoo to prevent early aging of your hair. This simple hair mask is extremely helpful in turning brittle hair healthy by repairing damages and split ends. Mix some raw milk with pure, raw honey and apply the mixture evenly to your scalp. Leave it for the whole night by wearing a shower cap and rinse off with a mild shampoo the next day. If you have long hair that has gone rough and lifeless, try using fresh cream instead of milk for better results. These natural and homemade masks will nourish your hair, restore its strength, and make it shiny within a few weeks. Bonus? You do not need to worry about side effects! Do you apply a hair mask to wet or dry hair? If you are planning to apply an oil based hair mask, apply it on dry hair and not on wet hair as water repels oil. Contrary to this, apply it on wet hair if you are using a water based mask. How often should I do a hair mask? DIY masks are natural and it takes little time to get visible results. Apply at least once in a week for better results. Do you shampoo and condition before a hair mask? Yes, it’s recommended that you shampoo your hair before applying hair mask. Shampoo pulls out all your dirt and impurities from the scalp and applying the mask on a clean scalp makes it more effective.